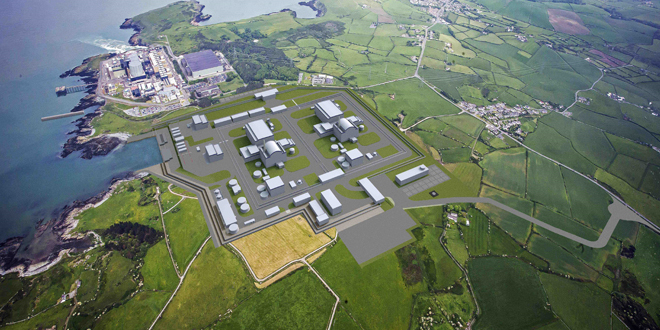 Last week, Hitachi, the company behind the Wylfa Newydd nuclear power plant, recently announced that they are most likely to put the £20bn project on hold. Also last week I happened to be meeting with BEIS, and asked the question where the UK will get their electricity from, particularly if gas fire boilers are substituted by electric heat pumps? They couldn’t answer directly, which I do appreciate, as the wrong solution could spell disaster for Britain. To put into context, presently there are eight nuclear power plants due to close by 2035. Together they generate 9.1 gigawatts of power a day – which is small in comparison of newer plants. These were to be replaced by three: Wylfa (generating 2.9 GW), Hinkley Point C (3.2 GW) and Sizewell B (3.2 GW). With Wylfa potentially on hold, there is a chance that the UK has decommissioned 9.1 GW of power only to replace it with 6.4 GW – that’s not enough. The DECC Future of Heating report lists January and December where we historically use the most power – this peaked at roughly 300 GW both heat and electricity. Our electricity capability maximum is currently at 60-70 GW a month, so if both cars and heat systems go electric, we would be some 240 GW short during these particularly cold months. Basically, we would need to introduce 30 or 40 nuclear power plants to meet the need… yet we can’t even build three. The proposed alternatives are not much better. The discussion around replacing gas could have longer term repercussions. Especially if the UK continues to encourage and incentivise more and more electricity, particularly in cars and heating. There are other plans to preserve power by reducing the amount of heat needed in homes, like insulating existing properties or having zero-carbon in new builds. But even if we were to halt the construction of new build homes from now, we wouldn’t be close to the amount of preserved power that we need. So, like with the shelved Wylfa project, it’s time to go back to the drawing board and come up with a practical energy plan that will keep the UK out of the dark.